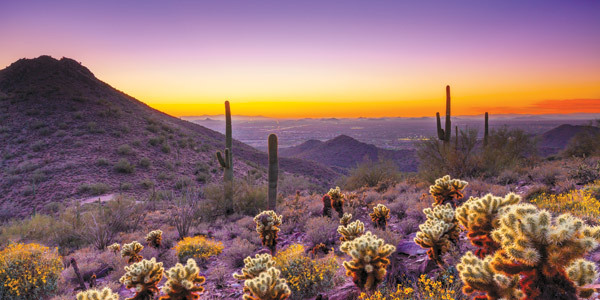 Scottsdale’s McDowell Sonoran Preserve is unique geologically. It is home to stunning geography, lush cacti forests and diverse wildlife. The town boasts 329 days of sunshine per year. 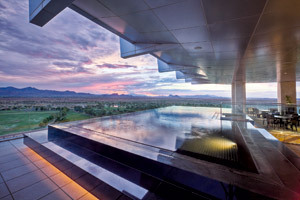 For a desert city, Scottsdale is surprisingly green, and not just because of the plethora of golf courses. 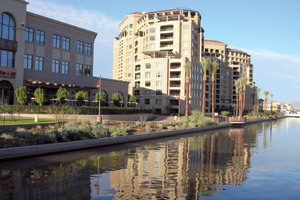 The Indian Bend Wash – the centerpiece of the town’s myriad recreational opportunities – is a 7.5-mile long ribbon of greenbelt down the middle of Scottsdale. It’s bordered by golf courses and parks that feature small fishing lakes, bike paths, and recreational complexes. As of the census of 2010, there were 217,385 people, 69,967 owner-occupied houses, 32,306 renter occupied, and 101,273 households within the city. According to a 2007 estimate, the median income for a household in the city was $70,533, and the median income for a family was $92,289. 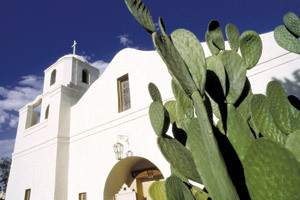 Historic Old Adobe Mission “Our Lady of Perpetual Help Church”, in Old Town, was built in 1933. The median sales price for homes in Scottsdale is currently around $330,500. A single-family home on one of the many golf courses ranges in price from $300,000 to $4 million. Historical influences evident in the town are a pleasingly eclectic mix of cultures – Hispanic, Native American, and the Old West. To be transported to Old Mexico, don’t miss a visit to the 50-plus-year-old Los Olivos Mexican Restaurant. For an enriching education into the area’s Native American history, you’ll want to see the Heard Museum North and the Hoo Hoogam Ki Tribal Museum. And for a taste of the Old West, try Rawhide 1880s Western Theme Town and Pinnacle Peak Patio. The highest concentrations of galleries, studios and museums that are open to the public can be found in Downtown Scottsdale. 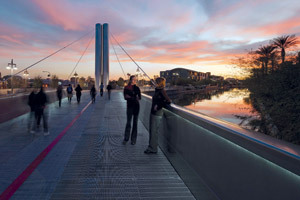 Soleri Bridge, a 100-foot-long pedestrian bridge connects Scottsdale Fashion Square to SouthBridge. Scottsdale also boasts an international reputation as an art center. There are more than 125 galleries and studios. Year-round on Thursday evenings, ArtWalks allow residents and visitors to browse the galleries of the Downtown Art and Shopping Districts. The city is also home to the Scottsdale Museum of Contemporary Art, the Fleischer Museum, and – for the architecture aficionado – Frank Lloyd Wright’s Taliesen West. This property, listed by Frank Aazami, is $3,450,000. For more information, go to DREAMHOMESMAGAZINE.COM and enter web# 184823. Adjacent to Scottsdale is lovely Paradise Valley, an incorporated town exclusively zoned for single-family residential use. The town sits in the shadow of stately Camelback Mountain, which is yet another rich source of recreational activities, and most of it is zoned for one-acre lots with one house per lot. It’s here you’ll find the area’s most luxurious and expensive villas and estates. 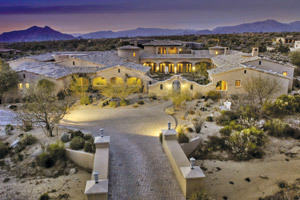 The average price of a Paradise Valley home in 2006 was around $1.7 million dollars, and $3 to $5 million properties are the norm.